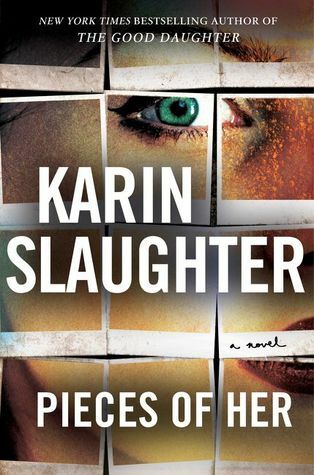 About the Author: Karin Slaughter is one of the world’s most popular and acclaimed storytellers. Published in 120 countries with more than 35 million copies sold across the globe, her eighteen novels include the Grant County and Will Trent books, as well as the Edgar-nominated Cop Town and the instant New York Times bestselling novels Pretty Girls and The Good Daughter. Slaughter is the founder of the Save the Libraries project—a nonprofit organization established to support libraries and library programming. A native of Georgia, Karin Slaughter lives in Atlanta. Her standalone novels The Good Daughter and Cop Town are in development for film and television. Noteworthy experiences while reading this book: This was awesome! Do I Recommend this book? For fans new and old of this author! This was great! Notes and Opinions: I wasn't to sure about this one when I started. I am pretty iffy when it comes to adult novels. They either work or they die a horrible death. This one however left me on the edge of my seat and I ended up reading it right up until my movie started. (Yep I was in the movie theater reading this though the previews) It was just that good. When the movie started (we were watching Peppermint) and I had to put it down I was really wondering if I should just say I had to pee and go read in the bathroom for a few more mintues. But I put it down and watched my movie and picked it right back up where I left off as soon as those credits started to roll. I know what your thinking why the 4 stars if it was so good. My main issue with this one was that all that suspense and wonder with the book was kind of all over the place. Once the story really got going some of that wonder and suspense died off and well it never really got it back. It didn't lose it enough for me to DNF this one but it never really got back to where it started in the first few chapters. The pacing on this was well in hand as well were all the characters. I really loved everyone in this one and where the author went with the story. It was a great length and well it all really worked out. This one really spoke to me on a personal level as my own mother is finishing up her first round of chemo with her breast cancer. Go Into This One Knowing: This thriller for the most part will keep you on the edge of your seat although it looses some of its steam during the middle parts. It does get a little back by the end but never as much as what it started with.